This is another dual layer belt clip / holster case for the iPhone 6/5s/5с/5/4. 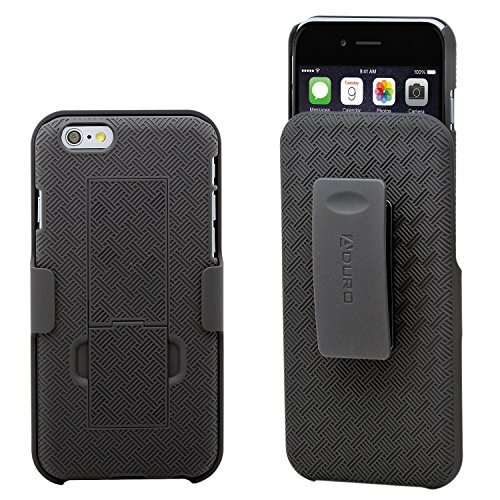 The Aduro case has a unique design something that’s different and looks “nice.” Also, we learn that the iPhone 5s can be removed from the holster without having to remove it from the case. There is also a kickstand on the rear cover. The belt clip /holster itself is made out of a really stolid material. This entry was posted in Apple news and tagged Aduro Shell Holster, iphone, Iphone 6, iPhone 6 Plus, iphone cases, iRumors Store, iStore. Bookmark the permalink.